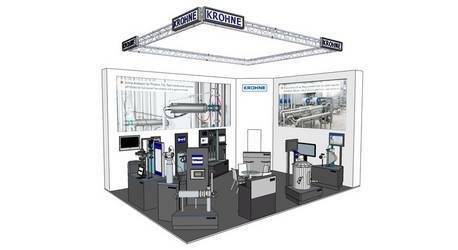 KROHNE presents at Anuga Food Tec 2015 measuring instruments for the food and beverage industry. As the leading global trade fair, the Anuga FoodTec is the most important driving force of the international food and beverage industry. It is the only trade fair in the world that covers all aspects of food production. Whether machines or systems, packaging material and analytics, ingredients or services - the industry presents their innovations and technological visions at the Anuga FoodTec. It offers all solutions for all food industries - in a concentrated and targeted manner! As the top theme, "resource efficiency" is going to enhance the discussions at the coming Anuga Food Tec. The exhibitors will present manifold solutions on how energy, water and food resources can be reduced during the production process. Furthermore, numerous events within the supporting programme will examine the theme from the different vantage points.